I put together my son's 4th birthday party last week. He's into a lot of things, but nothing in particular stood out as a theme. That is until someone posted a photo of an M&M wedding cake on Facebook. I had my inspiration. My son loves M&M's in all different varieties. He devours whatever flavored M&M's I buy to make recipes with. He's not picky when it comes to his favorite candy. 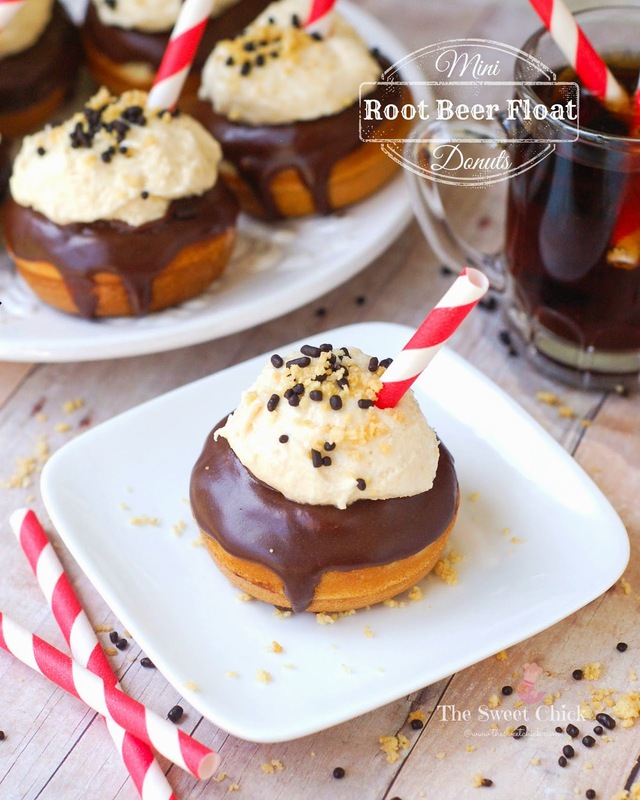 So I researched Pinterest for DIY party decor and kept my eyes open when I was out shopping. I tried to keep it simple because it wasn't going to be a terribly big party, but I wanted it to be special for him. Summer is coming to a close. Kids are going back to school in two weeks. Yay! I love my kids, but I need a break. The past couple of weeks have been busy. We drove up north for a week to see family and friends. It's was nice to see everyone, but man, that drive is killer. Then last week I was occupied with making treats and decorations for my son's birthday. 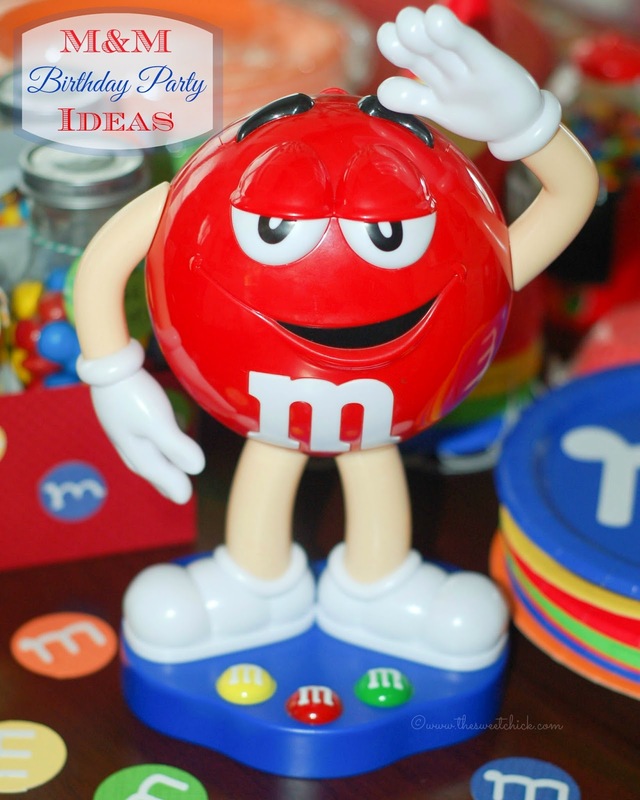 He loves M&M's, so I scoured Pinterest for ideas on doing an m&m party. 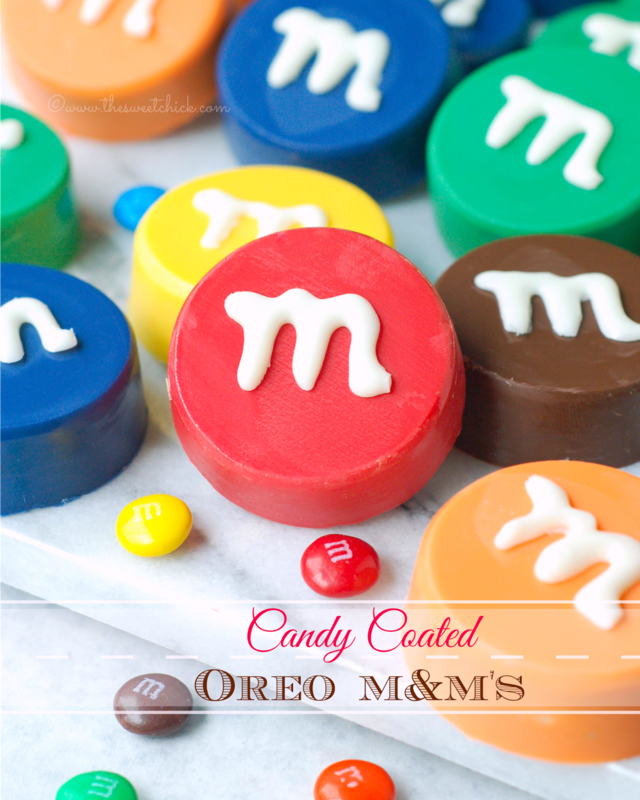 I found a few things, but these Candy Coated Oreo M&M's were my idea. I've been wanting to make them for a while, so I thought this was the perfect opportunity. They came out pretty cute.